He IS the king of hell after all. Again, shiny – but after the last 11 seasons? This is a season 1 bad guy. Crowley had also met Ramiel before – deciding to lure him on side by offering him shinies. Specifically the Spear of Michael which kills evil things quickly and angels really really slow. He also gives him a shiny golden thing which Mary stole – and the throne. Yes Crowley wanted Ramiel to be king. He wasn’t interested – and he offered it to Crowley instead. He was the one who inspired Crowley to become king, assuring him that with Azazel dead, the other two princes (Asmodius and Dagon who I’m sure will show up later) aren’t interested either. Yes yes very scary. Still a season 1 enemy. Mother of all monsters. They killed DEATH. Actual Death. Archangel Michael. He also works on setting Ramiel up as more of a threat – pointing out all the big bads they took down they had years to plot and prepare – not on the hoof in a barn. Crowley seems to abandon them – but actually goes to try and bargain with Ramiel. Pretty much offering almost anything to save the Winchesters… damn, Crowley’s relationship with the Winchesters remains Complicated. 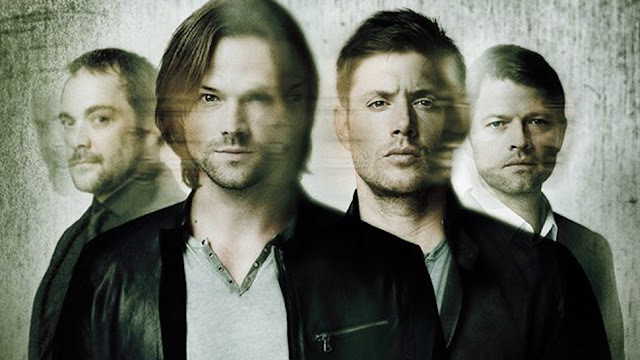 Of course Sam and Dean know nothing: and Mary keeps silent. Sure they get beat up a bit doing it and it takes 3 hunters but my gods what anti-climax is this? You spend this much effort building him up despite my cynicism and he goes down that easy? Why did he even bring the spear? Honestly this is the worst weapon he could possibly carry since he can kill the Hunters with his bare hands and the spear is the only thing they could actually kill him with? And I’m supposed to take Dagon as a big threat when she appears? This takes the Crowly/Winchester relationship to waaaaay more than complicated levels. They’re still confused by the theft claim. And Mary keeps silent. She goes go to the Men of Letters to express her rage at them – but it’s just a threat and she even agrees to keep working with them. And the item she stole? It’s the Colt. Another weapon that kills the unkillable.